Heated competition is forcing many companies to rethink their strategies when it comes to pricing for tablets – and it couldn’t be any more sober feeling after Amazon came to the table packing some serious heat with its Kindle Fire. Already, we’ve been seeing quite a few respectable tablets getting some much-needed price drops, which some see as a response to what Amazon recently announced with its Kindle Fire tablet. Well, that’s not causing Asus to shudder in fear because Asustek CEO, Jerry Shen, firmly commented that the company has no intentions on cutting the price of its existing Eee Pad Transformer tablet. Even at its current pricing, it’s undeniably hard to not consider it over others – mainly due to its competitive pricing and combinational form factor. 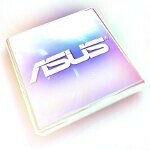 Furthermore, Asus is moving forward in bring its successor, the Transformer 2, to market with a price tag of $499. As it stands right now, market watchers are actually expecting to see Asus follow suit by dropping the price of the current Transformer, which can potentially cause them to delay the Transformer 2 if they go through with it. On the other hand, Asus has other plans in mind and they believe that Kindle’s Fire tablet will only account for 20% to 30% of the tablet PC shipments. In contrast, they’re adamant that 10-inch tablets will still be the preferred and mainstream specification – hence, that’s probably why they’re not going to modify their existing pricing. Knowing that, should we realize that the $500 price point is starting to feel a bit on the premium side now? I was just looking at tablets last night at the store. If the T2 stays with $500 for 32GB, it won't be that outrageous, assuming they don't screw it up. The tablets I looked at all had a deal breaker to them. I looked at models from Asus, Toshiba, Acer, Sony, and Toshiba. Even Samsung to a degree. Aside from the price, it looks to me like they're not thinking the products thru. Xoom I felt was the most liveable. The only knock I had on it was the screen. It was a little grainy and washed out. Noticed a huge difference in Angry Birds - tons of detail was missing from the background. Had a lot going for it otherwise. Acer - not bad overall, but I didn't like the build quality. Loved that it had a real USB port on it. Micro SD card protector looked like it was just asking to be broken. Asus - absolutely gorgeous screen. Best of the bunch. Big knocks were no USB ports and a proprietary power cord (also reports of the power brick being flaky and hard to replace). Getting USB requires the addition of the dock. Newegg had a great deal on it, but it was short lived. Probably would have bought the 16GB with dock if Newegg still had the deal on. Toshiba - crappy screen. I had bad experiences with Toshiba in the past, so that's a huge strike in my book. Sony - nice, but expensive for what you got. Samsung - how many models does Sammy ship and it STILL doesn't have a micro SD slot without a dongle? Cameras could be better too. Expensive for what you get. I think Android tablets can take off - if a vendor will just get it right. I don't expect a device to be perfect, but come on - many of them leave out the most basic things. Will the T2 be worth $500? Maybe, in 32GB and assuming they put USB host port (even OTG would be fine) and they get rid of the proprietary power cable, plus it's an improvement over the current Transformer. This would largely be a laptop replacement on road and short trips - one I wouldn't want to be carrying my laptop around with me. I still use SD cards for my camera, so on the Transformer, the dock was particularly attractive to me as I typically do a dump from the memory card at the end of the day to back up the pics. So I'd either like to be able to dump them directly from my camera and onto the tablet or as an even better option, be able to dump them to a portable hard drive. Newegg's deal for $399 for the 16GB Transformer and dock was perfect and I was going to buy it last night. However, I wanted to see it in person before I ordered so I stopped by the store to play around with it. By the time I got home, the deal was gone. The Xoom offered a lot of flexibility for a $4 cable. I also read a lot of horror stories about Asus's power adapter failing a lot. I like the using micro-USB for my chargers these days and I have plenty of them. I'd rather not have to chase down an iPod-esque one. Are they huge deals? Probably not for most people. Still, most manufacturers can add the USB on and not affect price so I don't think having it should be a big deal. It just doesn't fit my usage pattern. Had the Xoom had a better screen, I probably would have picked it up. What it came down to, ultimately, was I didn't see that value at $550 vs. $400 with the dock, especially considering I was going to add accidental damage insurance to it too. Guess we'll see what happens with the T2 and other new tablets. There had better be some significant spec bumps to maintain that price and right now I can get a transformer plus dock for $400. Just adding Tegra 3 isn't enough to warrant $200 more. . .
Who has it for $400 with dock now? Newegg had the deal but it's gone as of Monday. Toshiba now has the same deal at Newegg, but well, it's a Toshiba.